When Alcatel-Lucent sold off a majority of its telecom equipment business to Nokia, the Alcatel-Lucent DACS IV and related cross-connect systems were all included. 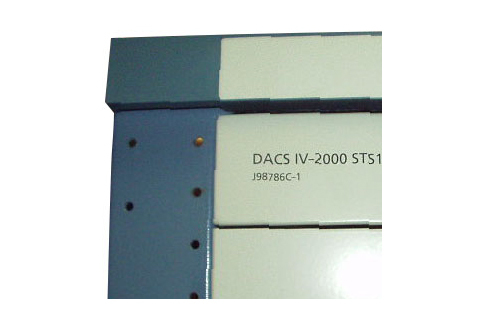 These platforms provide a wide range of connection possibilities, with this model specifically supporting and cross-connecting DS1, DS3, VT1 and STS1 signals. Used Alcatel-Lucent DACS IV have all reached their end of life stages and are no longer supported by the company or any of its standard maintenance offerings. Some limited technical capabilities and support can be secured, but these options have significant restrictions around pre-existing relationships with Nokia and Alcatel-Lucent. The Alcatel-Lucent DACS IV is a strong player in the cross-connect space and continues to operate in many networks across the U.S. and Europe. It can still be a smart addition to your network if you have the right reliable partner for parts, service, maintenance and ongoing support. Every used Alcatel-Lucent DACS IV digital cross-connect system provides an efficient way for you to manage, set, shift and control the pathways that traffic takes in your network. These models are designed to bring lower and higher bit streams together for a unified service application and support even at the edge of your network. The Alcatel-Lucent DACS IV has built-in provisioning support to ensure your network stays up and that trouble spots can be avoided. Its smart switch circuit management ensures a long life and robust support, even with continual use. Build the system you need today with refurbished Alcatel-Lucent DACS IV units and parts from Worldwide Supply. You’ll be glad you put your trust in the DACS IV and in us.